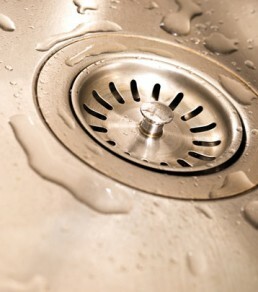 Blocked drains are smelly, inconvenient and can often be a health hazard. Luckily Cheap N Reliable Plumbing in Melbourne are the experts at determining the location of the blockage and working out the most cost-effective way of resolving the problem. We have the latest technologies at our disposal when trying to determine the location of the blockage. This often may involve using a specially designed ‘Drain Cam’ that we feed down your drain until we find the source of the problem. More often than not the source of the problem is tree roots searching for moisture that appears around the outside of the pipes. These roots will eventually break through and gradually cause a stormwater or sewer blockage. Blocked drains can also be caused by flushing things down the toilet that you’re not meant to, these can often include napkins, hair and women’s sanitary products. Depending on the situation, there is a chance the blocked pipe may need replacing. If the problem is caused by tree roots then it will continue to worsen as more tree roots are attracted to the moisture leaked out through the break. If you’re lucky we may be able to remove the blockage from the pipe but we will still need to make sure there has been no lasting damage to the pipes. For blocked drain prevention there are also various chemicals that can be purchased from your local hardware store that can be flushed or washed down your drains to help maintain your drains.